Aspirin may be more than just a pain reliever as indicated by a new study. According to the newest study on aspirin, in a new analysis from the long-running Physicians Health Study at Harvard University, researchers found that men who who took a minimum of three aspirin tablets a week reduced their risk of developing or dying from advanced prostate cancer. While the aspirin itself did not prevent prostate cancer, it does seem to keep it from developing into its more aggressive form. Researchers analyzed data from 22,071 men who participated in the study. During a follow-up of 27 years, 3,193 of participants who were diagnosed with prostate cancer, at least 403 among them had a lethal form of the disease, defined as cancer that had metastasized or spread beyond the prostate or that resulted in death. 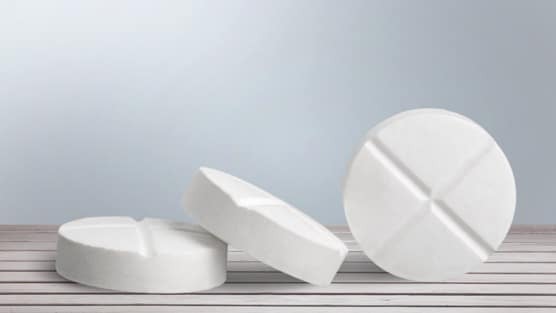 Dr. Allard along with several other cancer experts cautioned that the observational study did not necessarily prove aspirin’s preventive role in regards to prostate cancer. Nor is it certain what dosage of aspirin contributed to the results. The only hypothesis Dr. Allard could offer in reference to the findings was that by inhibiting platelets, aspirin essentially blocks tumor cells from metastasizing to the bone. So while the results have been remarked as being “compelling”, anyone looking to start an aspirin regimen should confer with their doctor first as regular aspirin use is associated gastrointestinal side effects that can develop into serious complications in some patients.